Daisy Ridley, aged 26 years old. The actress weighs 55 kg(121 pounds) and has a height of 5’7” (170 cm). Her workout includes circuit training with weightlifting and cardio which helps her maintain a 32-23-33 figure. The 26-year-old actress needs to look athletic for her Jedi role in Star Wars: The Last Jedi. Of late, she has been focusing on intense workouts and strict diet. 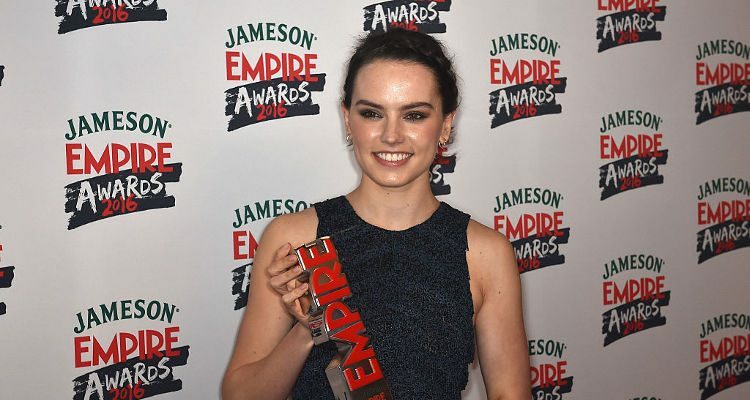 Best Known For: Playing Rey in the 2015 epic space opera film Star Wars: The Force Awakens and 2017 film Star Wars: Episode VIII. Resistance training was done twice a week by the star. This training helped add muscle and shape to her frame. Her weight lifting exercises comprised of barbell bench press, overhead press lunges, dead-lifts, squats, modified pull-ups, triceps press-downs (pulley), and barbell curls (pulley). Over months of working out, Ridley increased her strength. One popular YouTube clip of Ridley deadlifting revealed how the star worked on her strength. The actress believes in balancing out her workouts with a diet plan focused on nutrition. She had the goal of achieving a lean and muscular physique for her Jedi role. To achieve this, she focused on a protein-based, paleo-type diet with low processed carbs and plenty of fiber. She focused on a few rules that helped her achieve her diet goals. This meant eating frequently and having smaller portions. Ridley ate five times per day, with her last meal of the day being the lightest. Ridley would eat her largest meal in the morning, and then progressively decrease the size of her meals throughout the day. The star’s diet included lean proteins, vegetables, fruits, and healthy fats. Being fond of avocado and nuts, she used them to stave off her sugar cravings. She revealed on Instagram that her health woes had affected her confidence. The Brit star also told her fans that she underwent a series of tests that led her to partially cutting out dairy and sugar from her diet. Ridley consumed two to three liters of water every day and ate a lot of fish and spirulina while prepping for the film. Ridley’s intense workout and diet plan is inspiring. Fitness fans can surely learn a lot from her dedicated approach to fitness.